As part of our ongoing mission to show you what stone’s are readily available. We start off by showing you some Spanish Nero Marquina… The white veining on black back ground would look stunning in a bathroom as a feature wall. We go from Spain to China to see their White Panda. 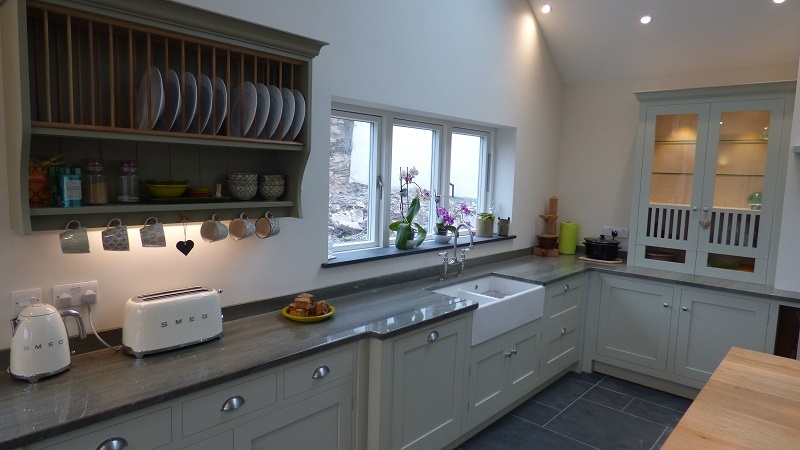 Our customers on the North Cornish Coastal fishing village of Port Isaac, loved Silestone’s concrete grey Quartz. Silestone have called this colour ‘Gris Expo’, and it’s been a popular choice for designers and customers for many years. What is Silestone?? How about adding something sensational to your Kitchen or Bathroom, a piece of natural art work… We start off by showing you a slab of Cosmic Black, which I think you will agree, looks absolutely stunning. This Brazilian granite looks like like an oil painting. 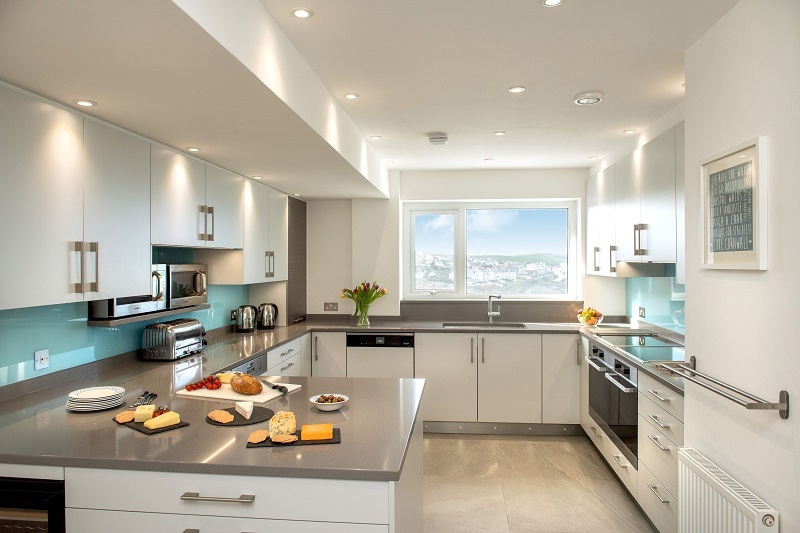 Snowy Ibiza Quartz Worktops from Silestone look fantastic. 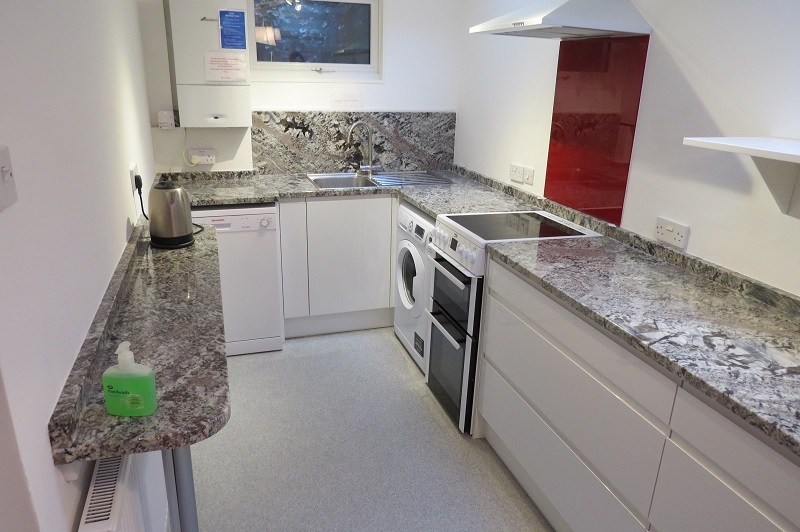 Our customers in Falmouth loved the subtle veining this particular colour offers. It creates a real natural marbley appearance, but with the hard wearing capability of Quartz. Viscont White Granite is an Indian granite and looks fantastic as a kitchen worktop. 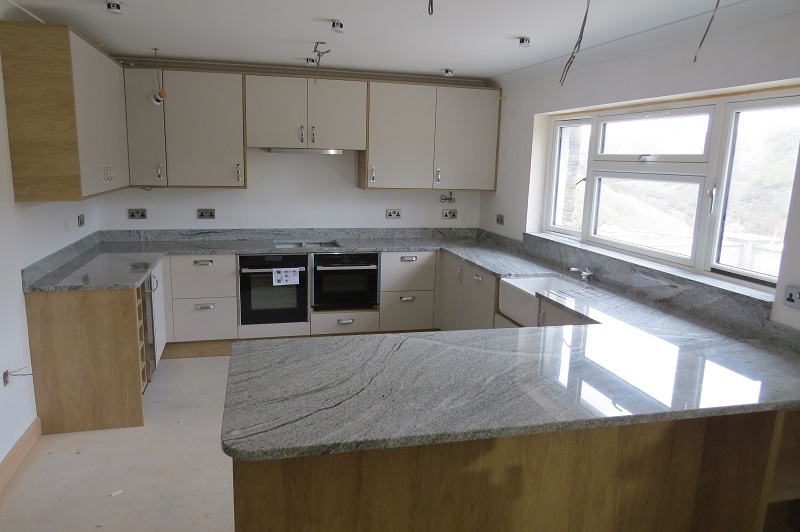 Our customers in Cornwall loved the natural beauty of this granite. Veining in this granite draws peoples attention, and is the reason that Viscont White is doing so well at the moment. Ferrato Granite worktops look so natural… Feratto granite distils expressive force and movement and adds charisma to the blandest decors. Its attractive colours, ochre glints and veining, help to project endless inspiring images. Rough bark of a century-old tree, the skin of a prehistoric animal, the thirsty soil of a desert. Some New Arrivals… Arabescato Corchia Extra Marble… Book Matching Marble… Rosso Verona Granite… Volga Blue Granite… Have you ever wondered how much granite worktops or quartz worktops cost? 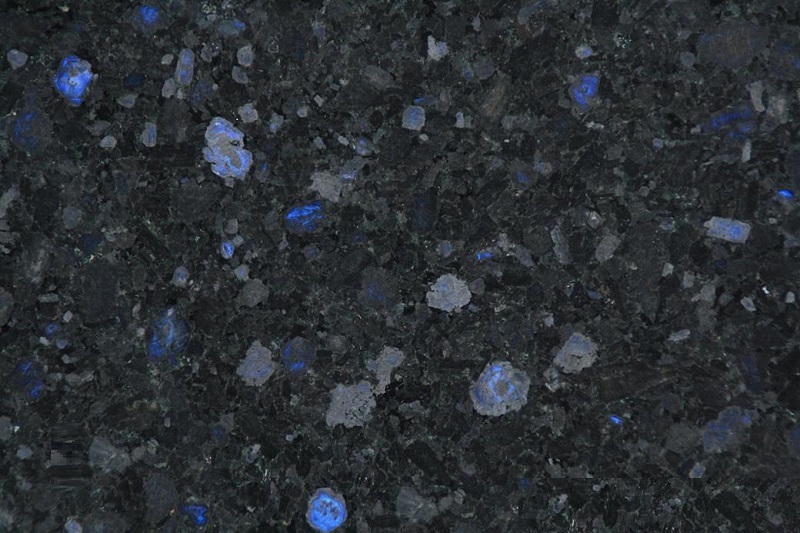 Wild West Green, is also known as Verde Lara, and offers a fantastic choice for a granite worktop in your kitchen. Customers often fall in love when choosing a slab of Verde Lara granite. It offers great character and goes with a number of colours in the kitchen. One Piece. Easy Installation. It’s that simple. 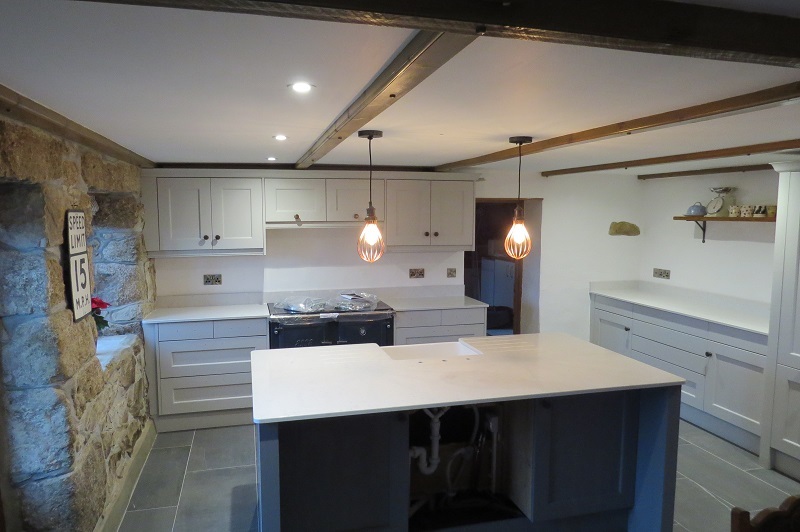 We recently installed Lennon Granite Worktops in a small kitchen for a customer in Fowey. Quartz, feldspar and mica: evocative crystals that form the very essence of granite are reflected on the surface of Lennon. The heart of Natural Stone, open like a pomegranate, reveals a wonderful structure.